Are You a Diabetic Amputee? In the United States, 82% of amputations are the result of peripheral vascular disease (PVD), and diabetes is the single largest cause of PVD. If you have had an amputation due to vascular issues, or are preparing for an amputation, our team is uniquely skilled to assist and help you plan for what’s next. We help diabetic amputees every day to move forward with their lives after amputation. 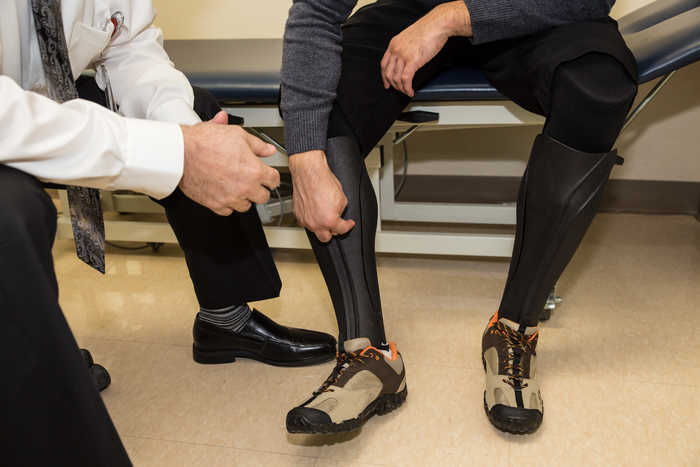 Through innovative wound care strategies, the latest in socket designs and advanced prosthetic components, our experienced clinical team are able to build prosthetic limbs that minimize diabetic skin issues and maximize your comfort and mobility.